53percenter's Blog – Conservatives welcome. Libs & RINOs go away. It's all of you destroying the society and conservatives must no longer appease you! Leaked internal discussion threads from Google provided exclusively to Breitbart News show left-wing Google employees reporting one of their colleagues for alleged “leaks,” while worrying about the legal implications of cracking down on a conservative at the company over his public complaints about working conditions. “If you have any knowledge of someone else who definitely leaked from THIS group, be sure to report it at go/stop-leaks,” wrote another Google software developer, referring to an internal messaging system for reporting potential leaks. “I noticed a certain someone who leaked from this group still works here. Is that the new norm? Is there something specific that makes his leak okay? What’s up with all this” wrote a different employee. The “leak” in question was a Medium post by conservative Google software engineer Mike Wacker. 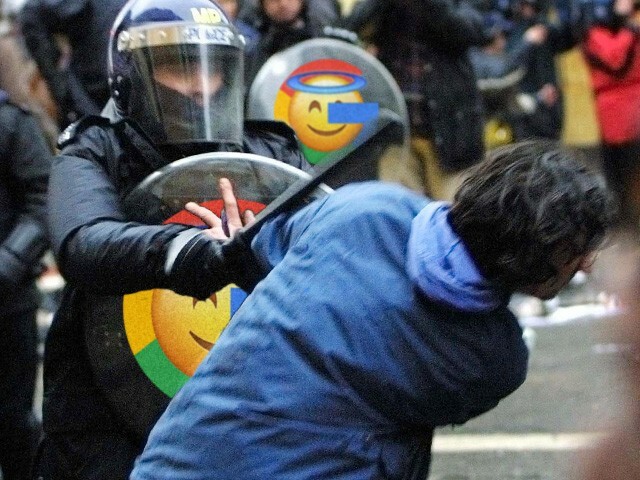 In the post, the employee published anonymized messages from inside the company to draw attention to hostile working conditions faced by employees who express non-leftwing opinions at Google. Some Google employees urged caution, noting that there was no evidence that Wacker leaked the discussion, and that persecuting him for his Medium post might have legal implications. “The odds of them showing up in, for example, a lawsuit for discrimination, or unfair dismissal, are high” said one employee, who warned against empowering “far-right extremists”. “it occurred to me … that some amount of his conversation might be considered protected speech given that it’s talking about working conditions” wrote another employee. Under the National Labor Relations Act, workers can engage in public discussion of working conditions at their places of employment. In recent cases, the National Labor Relations Board (NLRB) has upheld the right of employees to hold these discussions on social media platforms. James Damore, who was fired from Google after publishing an internal memo advocating for viewpoint diversity which was subsequently leaked to the press by his opponents inside the company, brought a case before the NLRB after his dismissal. The NLRB, lobbied by Google, ruled in favor of firing Damore for so-called “discriminatory statements,” but also said that much of the rest of his memo, which discussed working conditions at Google, was protected by labor law. Nevertheless, a Google employee insisted that the company’s leadership was “looking into” what to do with Wacker, but warned that even though the purported leaker had been ejected from the group, members should still be cautious about further leaks. In a video released earlier this week, Rep. Alexandria Ocasio-Cortez narrated a strange version of a Green New Deal future that appeared more like a delusional fever dream than a practical plan. She imagines high-speed bullet trains, a Democratic-led government, the demise of fossil fuels, and “in transition” energy sector workers relegated to planting mangrove trees under the guidance of Native American elders. How did we get here?What is at stake?And where are we going? Despite being only slightly less realistic than the “Star Wars” franchise, this line of thinking in our nation’s leadership needs to be taken as a credible threat. Of course, the coal miners of West Virginia know this all too well. Through the generations, they’ve experienced the ups and downs of coal country and the government overreach that can deal death blows to communities. In the video, a group of coal miners savages Ocasio-Cortez’s position on the fossil fuel, delivering a brutal fact check about what her policies would actually do to workers. “The Green New Deal would be bad for coal miners because it’s going to put every coal miner out of a job,” said a man who identified himself as Kentucky coal miner Chris Dingess. This is a far cry from the future of sustainable mangrove-planting jobs envisioned by Ocasio-Cortez. Do you agree with these coal miners? And since these men have witnessed the brutal reality of what regulation can do to a coal mining community, their prediction is actually based in the real world. “AOC, this is my message from coal country,” said a man who identified himself as John Manuel, a West Virginia coal miner with 37 years in the industry. “We have been coal miners all of our lives. Things have gotten safer and better in the coal industry for the coal miners. If a New York liberal like Alexandria Ocasio-Cortez wants to put these men and the tens of thousands of others like them out of a job, she’d better be prepared to face the consequences of her actions. He’s right, and the attention to which he refers isn’t the unflattering kind. He explicitly says that Buttigieg’s trailblazing status as an openly gay presidential candidate has been an asset to him (at least so far) — which feels vaguely scandalous coming from Frank. Normally among the left it’s acceptable to acknowledge progress in growing public acceptance of minority groups but to admit that minority status might be an advantage supposedly risks breeding complacency. The bottom line of every social-justice argument is “there’s much more work to be done.” Listening to Barney chatter about how being gay is momentarily helping someone in the race to become leader of the free world, that argument is a harder sell. Democratic voters are still getting to know Buttigieg but his favorablility so far has been overwhelmingly positive, on the order of 50/5. If his orientation becomes a problem for him in the primary, it won’t be because voters sour on him or on the fact that he’s gay. It’ll come from their anxiety that an openly gay candidate just can’t prevail in a general election, especially against a candidate like Trump whose image relies so heavily on machismo. Remember this poll from deep-blue California last week? Those numbers can change, of course. I’m sure there were polls in 2007 that showed Democrats highly skeptical that the country was ready for the first black president; a year later Obama won the most votes of any candidate in American history, a record that still stands. Buttigieg has something in common with Obama, namely, that his personal style contrasts sharply with the nastiest stereotypes thrown at people like him. Bigots will tell you that blacks are stupid, promiscuous, and aggressive; Obama was a Harvard-trained law professor, devoted family man, and so chill that people compared him to Mr. Spock. They’ll tell you that gays are effeminate, flamboyant, immoral, and extremely promiscuous; Buttigieg is a veteran, low-key in a classic midwestern way, a practicing Christian, and married to another man. Some progressives would claim that he’s not “gay enough” just as some of Obama’s “woker” critics on the left grumbled that his sense of black identity wasn’t as developed as it should be (he lost his first run for Congress in Chicago to former Black Panther Bobby Rush partly for that reason, in fact) but it’s their shared ability to turn stereotypes about the groups to which they belong on their heads that makes iffy voters more comfortable with them. As for Frank’s point about gayness being an asset, I had the thought last night that we haven’t had a truly “traditional” presidential election in the United States in more than 20 years. The 1996 election, I’d say, was “traditional” notwithstanding Perot’s formidable third-party presence. We had a traditional campaign in 2000 but the results of the election itself were, er, untraditional. The 2004 election was untraditional because it was largely a referendum on Bush’s response to 9/11 and his decision to invade Iraq. 2008 and 2012 brought us the first black president and 2016 brought us the first woman nominee versus a celebrity real-estate developer turned game-show host. Whether there’s an actual “trend” in all that and/or whether it’s a byproduct of the country’s population becoming more diverse — of course we’ll have fewer white and male nominees over time — is a question left to smarter cultural critics than me. But it may be that some Democrats have effectively decided that their nominating process should itself be a vessel of social justice by elevating members of previously marginalized groups to fully mainstream status, in which case yeah, Buttigieg’s orientation would definitely be an asset next year. We’ve had a black nominee (and president), we’ve had a woman nominee, logically lefties would next want to signal that being gay also shouldn’t be seen as a political disability. Here’s Frank. The clip is worth watching for two reasons, one Chris Matthews’s weird pronunciation of Buttigieg’s last name (he says Boo-DED-itch instead of BOOT-edge-edge) and the other Frank’s story of Joe Biden getting nuzzle-y in classic Biden fashion with … Frank’s husband. The post Barney Frank: Buttigieg wouldn’t be getting all of this attention if he wasn’t gay appeared first on Hot Air. Sedgewick Gardens is an historic landmark in a high-priced neighborhood in northwest Washington, D.C., the Washington Post reported. But in the past two years, it has also come to play home to a number of formerly homeless people, many of whom may not have been pushed into housing before exposure to treatment as part of the District’s "housing first" approach to policy. It is standard practice, according to the Post, for D.C.’s government to require that residential buildings be mixed income, i.e. afford the opportunity for lower-earning people to live there. "But the situation at Sedgwick Gardens is different," the Post explained. "Many of the new tenants are previously homeless men and women who came directly from shelters or the streets, some still struggling with severe behavioral problems." The pushing of formerly homeless people into housing prior to access to drug treatment or psychological care is part of the "housing first" approach to homelessness assistance, which argues that housing is itself a kind of care, and so people should always be provided with housing as soon as possible. Motivated by this philosophy, in late 2016 the D.C. Housing Authority substantially increased the payout level of the housing vouchers it makes available to low-income residents. Under the vouchers, residents pay 30 percent of their income towards rent, while the city pays the rent. In 2016, the maximum rent subsidy was raised to 175 percent of fair market rent, raising the subsidy for a one-bedroom apartment to $2,648 per month. This figure was well beyond the rent for upscale locales like Sedgwick Gardens, where a one-bedroom will run about $2,200 per month. As such, a number of voucher-eligible individuals, many of whom were coming out of homelessness, were moved into the apartments. The neighborhood itself is quite liberal—the Post notes that 95 percent of voters there opposed President Donald Trump in 2016—but the results of the move-in were what the Post describes as "a high-stakes social experiment that so far has left few of its subjects happy." That experiment has led to a tripling of police calls to the complex, rising to 121 in 2018 compared to 34 in 2016. Only five of the 2018 calls actually were eventually linked to a crime. But they also were prompted by other harrowing situations, including a man barricading himself in his apartment and threatening to shoot police with a shotgun if they intruded; and another man found to have died from using drugs laced with the deadly synthetic opioid fentanyl. These two events are the most extreme examples of a general coarsening of the environment. Tenants have complained of panhandling in the halls, the smell of marijuana in the hallways, and feces on the landing of the stairwells. Lorraine Starks, a formerly homeless woman who moved into Sedgwick Gardens thanks to the program, sees it as an example of a few bad apples causing trouble for everyone else. In her view, the city failed to screen a number of new residents, who now "are trying to turn it into a ghetto." "It’s not about the voucher program. It’s not about racism. It’s about people’s conduct and behavior," Starks told the Post. The post D.C. Progressive Housing Program Causing Chaos in Upscale Liberal Apartment Complex appeared first on Washington Free Beacon. Thursday’s release of Special Counsel Robert Mueller’s 381-page report vindicates a prediction made for nearly two years by conservative radio host and attorney Mark Levin: that Mueller’s report would attempt to provide a basis for Congress to impeach President Donald Trump even if it found no collusion and no obstruction of justice. Attorney General William Barr noted that Mueller had found no evidence of collusion between Trump’s presidential campaign and the Russian government in the 2016 elections. He also said that he and Deputy Attorney General Rod Rosenstein had considered “ten episodes” listed by Muller as potential cases of obstruction of justice, and concluded that the facts did not support charges being brought — that, in fact, Trump had cooperated fully with the investigation. 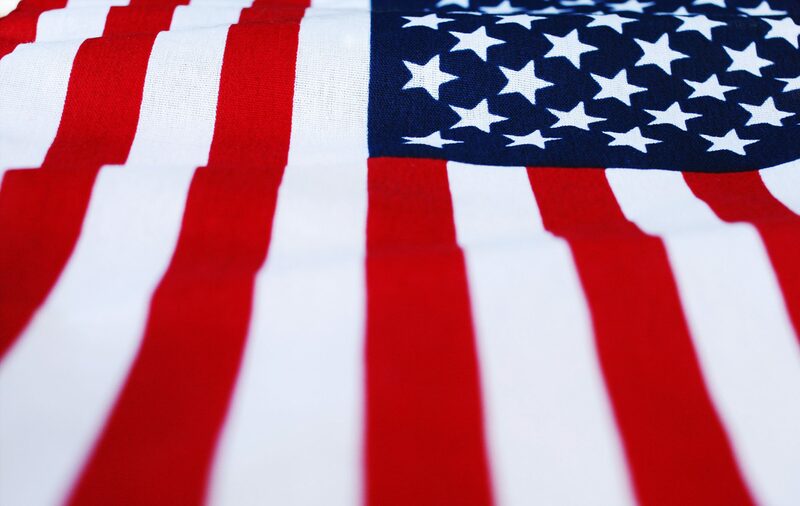 Still, Democrats — and journalists — latched onto statements by Mueller in the report that seemed to invite Congress to investigate the president for obstruction of justice even if his conduct did not meet the legal standard for prosecution. The report provides a conundrum for Congress by virtually inviting an impeachment probe around the obstruction issue. 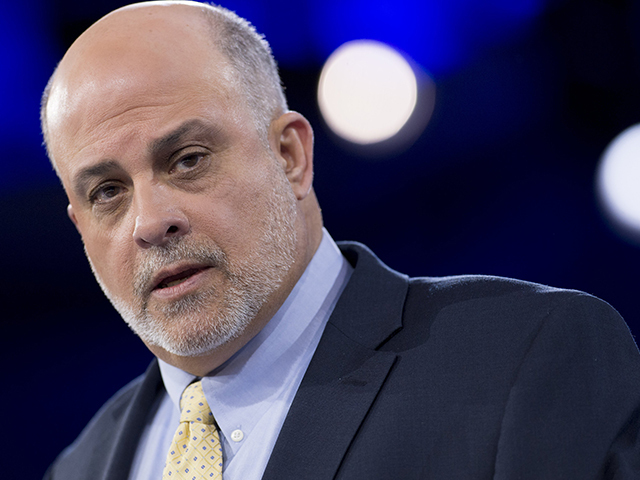 Levin predicted this result almost from the moment Mueller was appointed, and has been warning ever since that Mueller’s report would provide a pretext for impeachment even if he could not prove Trump did anything wrong. While Republicans interpreted the Mueller report as a vindication of the president, and called for a new investigation into how the false allegations against the president began, Democrats and the media are reacting to the report in the precise manner Levin had predicted. Speaking to the Gateway Pundit, Pollack said that the report did not contain any significant new information regarding his client. The pro-transparency organization also called for the full unredacted report to be released, criticizing the “large redactions which permit conspiracy theories to abound. Pulitzer prize winning journalist Glenn Greenwald noted that the statements of Attorney General Barr appeared to uphold WikiLeaks’ right to publish. It should also be noted that Barr said that WikiLeaks could not have committed a crime by publishing the DNC/Podesta emails unless they participated in the hacking itself, which I don’t believe has anyone claimed they did. “It should also be noted that Barr said that WikiLeaks could not have committed a crime by publishing the DNC/Podesta emails unless they participated in the hacking itself, which I don’t believe anyone [has] claimed they did,” Greenwald tweeted. 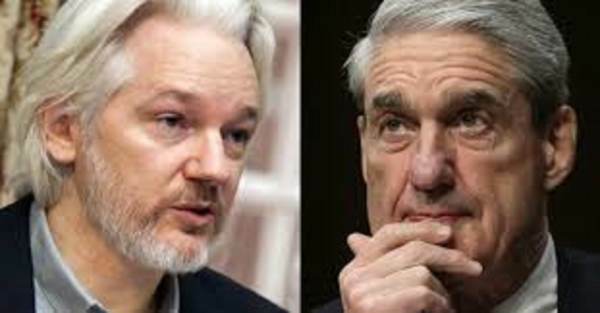 The post EXCLUSIVE: Assange’s Lawyer Responds to Mueller Report, Says it Properly Notes First Amendment Concerns appeared first on The Gateway Pundit.